Aikatsu! – 147 | Mezashite! This episode looked like crap. In contrast, it was very well written and acted, and I even had to reference episodes as early as 16 and 23 to properly translate it. How’s that for continuity. And I could’ve sworn the year’s theme was supposed to be romance stories. I guess they ran out a while ago. PS: I think Sunrise listened to my email about “de nada”. Anyone want to check the BD of the original episode and see if they fixed it there too? SPOILER ALERT: Juri gets it right this time. I assume the episode looked subpar because KAs were busy with the second movie (if it has any 2D animation); there was a similar one-episode drop in quality right around the release of the first movie. The movie was a glorified hour long clip show of about 15 performances from the series. There was barely any real animation in between the clips (aside from some idols talking on stage and presenting). 3. There are no fruits on the Coord! 5. The Coord is based on Flute not fruits! Good call, I didn’t check my sources first. In response to your other point, I see they gave up on full year themes for whatever reason (despite them saying that the annual designer meeting made the decision). They never explicitly mentioned the change to my knowledge in the anime. sadly they didn’t mention that in anime. Only in this episode Kayoko said that the Coord is from new Dream Story but that’s the only place I caught of them ever mentioning Dream Stories. I’m curious about something. 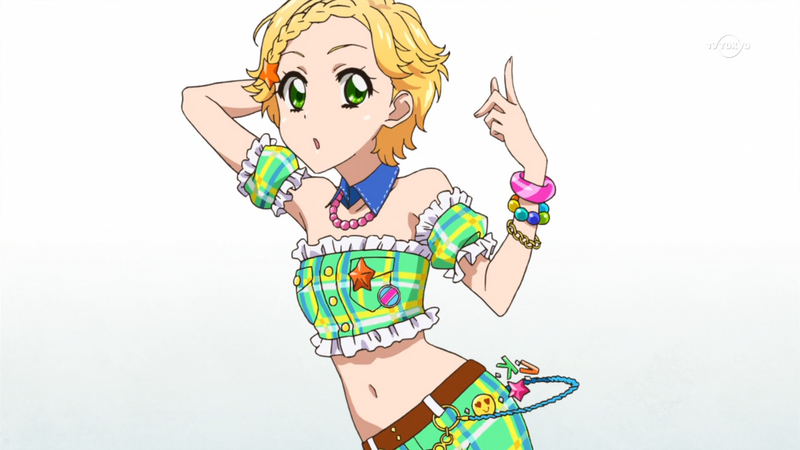 Does the Aikatsu Wikia site have access to information directly from the production company? Their description of ep 147 says the three duo units, Dancing Diva, Jounetsu Jalapeno, and Skips are disbanded as of this episode. Nothing like that was mentioned in the episode, and Juri said flat out quite the opposite. We may not see them performing as units much anymore, but no one ever said an idol could only be in one unit at a time, and we’ve seen multiple examples to the contrary. So… does the Wikia know stuff that we don’t? Maybe they split up during the thing that’s currently in theatres? 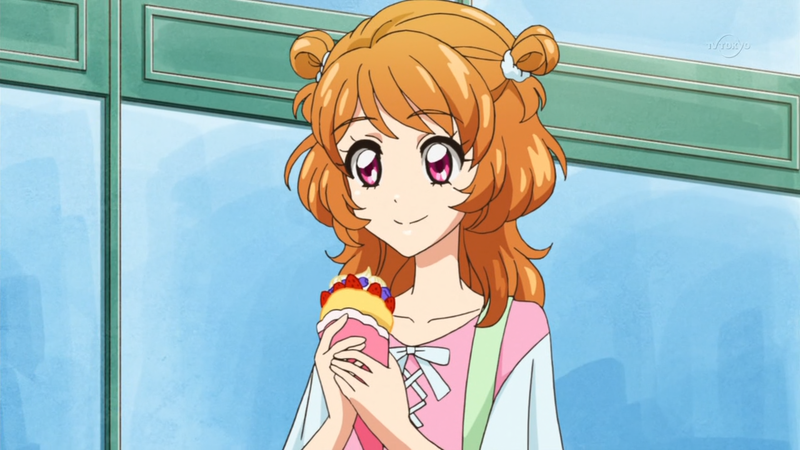 Aikatsu Wiki is just a fansite for fans to gather information about the series. They were wrong about duo units splitting up – they appearantly decided that if trio units are formed and it wasn’t a duo+1 then they split up but they didn’t – quite opposite. Jounetsu Halapeno unit isn’t planning to cool off any time soon. The wiki is run by humans who can make mistakes. Same with Sumire’s PR debut episode where they translated the title as Idol Battle when there was no battle. God I hope Shion actually gets to perform next ep. SPOILER she does. And we have DreAca’s surprise stage too! Anyway it was a good episode.